Ever upbeat, Bob Crachit and Tiny Tim are rendered in hand-painted porcelain in this figurine. "Bob Cratchit And Tiny Tim" shows Bob carrying his sick child on his shoulders as a dog runs playfully beside them. 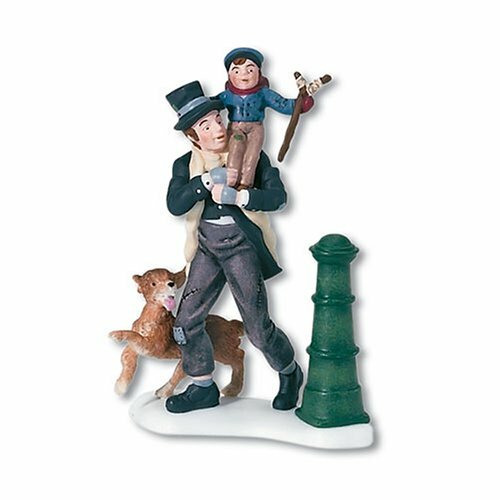 This accessory is designed as part of the Dickens' Village Series which is produced exclusively by Department 56.